Math can be tough sometimes, especially when it comes to counting, so we can understand the confusion surrounding the news that Erik Buell has recently been awarded a patent for a design that incorporates a motorcycle exhaust system inside the swingarm of the bike (now that’s some engineering). 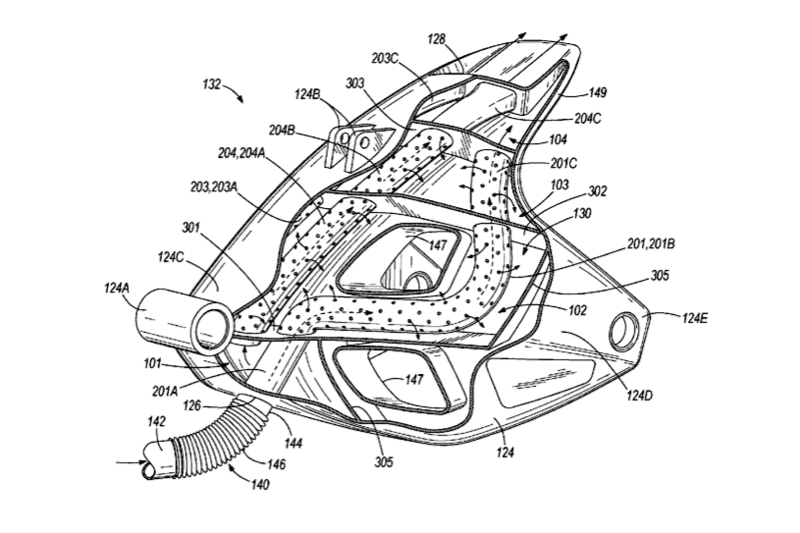 However we have the unpleasant responsibility of saying that this patent is not in fact owned by Erik Buell and Erik Buell Racing, as the filing date and patent assignee information were clearly over-looked by early reports on Buell’s patent. 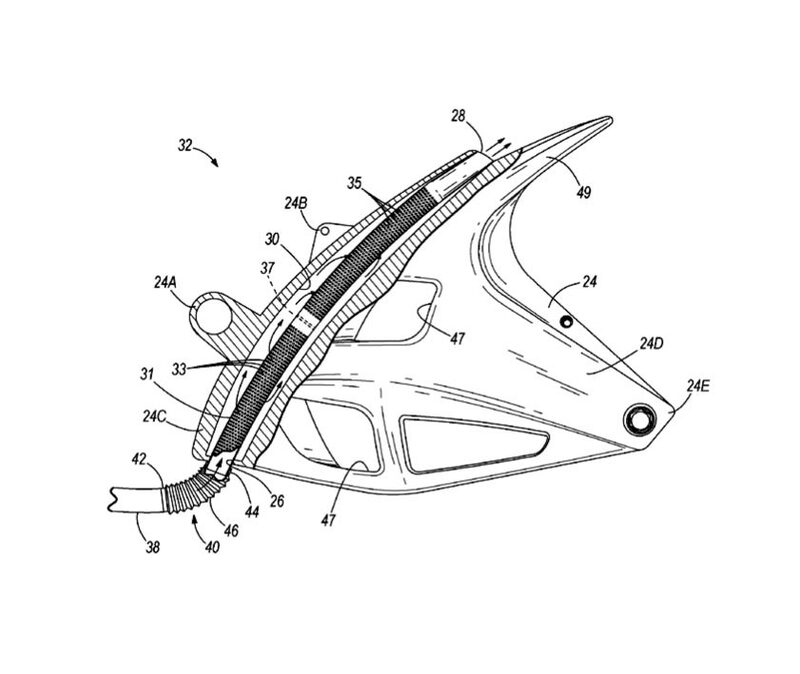 While the patent was published on October 28, 2010, its was filed by Buell last year (April 24, 2010), well before Harley-Davidson closed the company, and while Erik Buell still worked as a Harley-Davidson employee. As such, the patent is assigned to the Buell Motorcycle Company, whose intellectual property is still owned by Harley-Davidson. 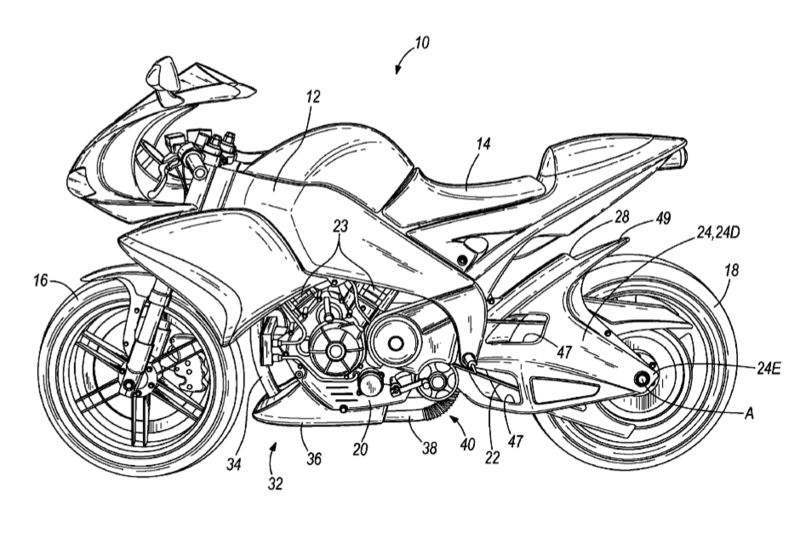 Despite the fact that Harley-Davidson gets to keep this patent under its divorce agreement with EBR, Buell’s design is pretty impressive. It might be an answer to a question that no one asked, but when you consider the difficulty in the goal, you have to appreciate the creativity in working up a solution. 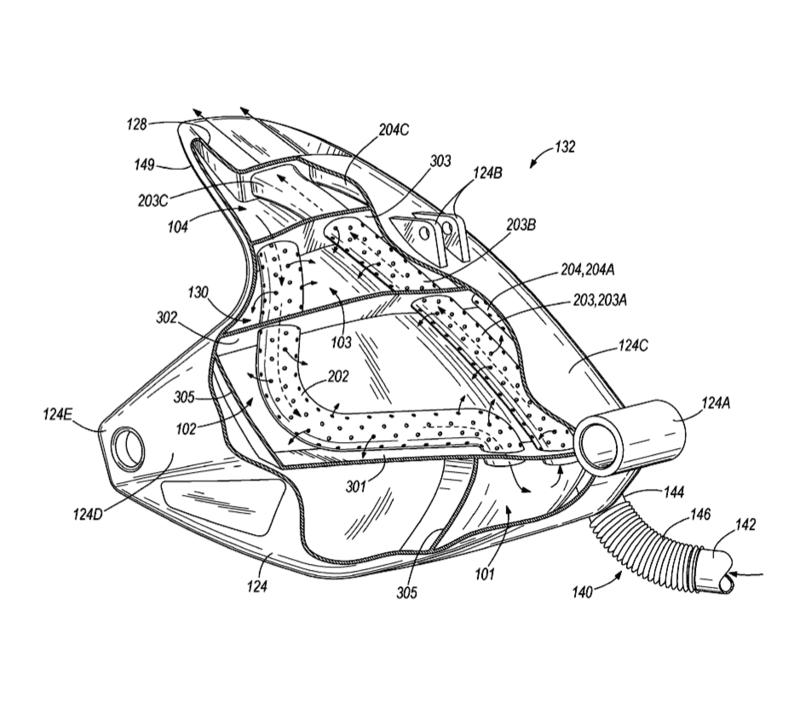 In the patent Buell outlines a multiple stage exhaust system that sees a intermediate muffler acting as lower chin fairing (presumably containing a catalytic converter as well), which is attached directing to the down tubes from the header. The intermediate muffler then attaches to a flexible pipe which serves as the link to the pivoting swingarm. Once inside the hollow swingarm, a perforated pipe disseminates the exhaust gas into the swingarm chamber(s), which in-turn serves as secondary muffler of sorts (the patent provides that this could serve as the only muffler in the design if found to be adequate). The swingarm design includes exit ports for the gas to escape from, as exhaust fumes fill the swingarm cavity. Presumably Buell’s design would reduce the overall weight of the motorcycle, with only a marginal increase to a bike’s unsprung weight. Pretty clever if not wholly unnecessary, but it’s this sort of outside of the box thinking that made Buells so intriguing to their riders.